I’m rarely impressed by email spam, but LinkedIn is doing something brilliant right now. 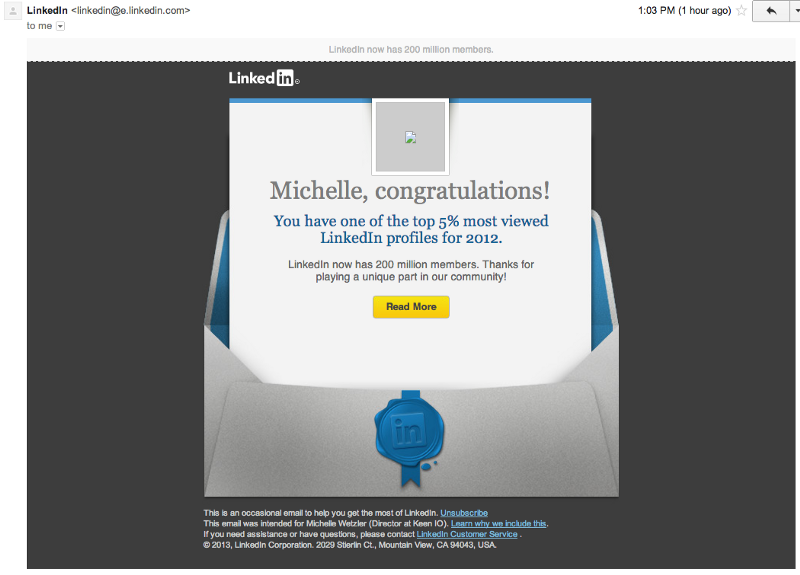 I just got an email telling me that I have one of the top 5% most viewed profiles in 2012. Of course I clicked that bright yellow Read More button. This took me to a lovely interface with interesting analytics content, and very easy way to tweet about how special I am. Then I realized top 5% isn’t really that significant. And I noticed from their letter that LinkedIn has 200M members. 5% of 200M is 10M. 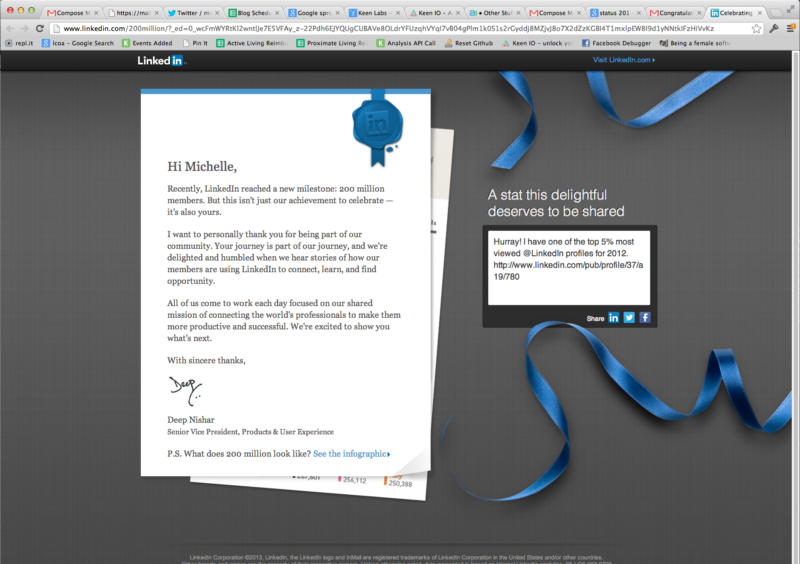 LinkedIn just made 10M people feel special. You can tell it’s working from the stream of people tweeting this stat that “deserves to be shared”. Props, LinkedIn marketing team. Props. The analytics team didn’t do a bad job crunching all that pageview data either. Yet again, LinkedIn dominates data. I’d love to see the resulting analytics on their traffic, tweets, and upgrades. PrevPreviousWho’s Ready for Some FOOTBALL (Data)?